Hideo Kojima, creator of Metal Gear Solid, is working on something. And it's powered by a new game engine, which Kojima unveiled earlier this summer. "Until now, we have been developing games for exclusively for specific platforms, but in the future, we look to go more global," Kojima said at the time. "We are paving the road to go multiplatform for future titles." Today, Kojima showed facial model tests created on the Fox Engine. 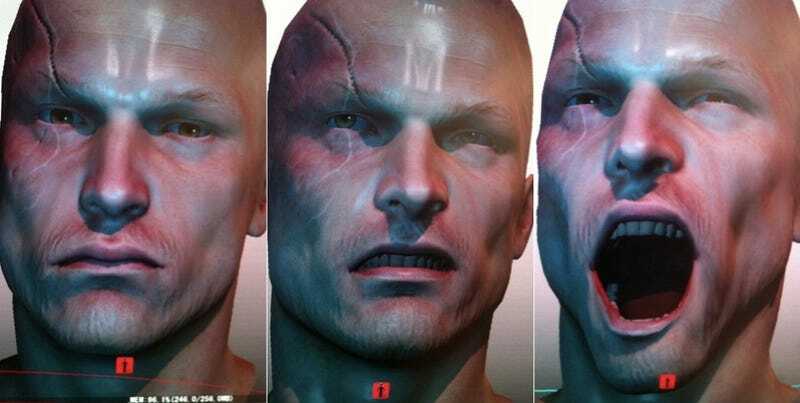 These are early, of course, and the faces belong to a nameless character who won't necessary appear in a game (Kojima explicitly states it is now (Volgin). Think of them as a taste of what's to come.